The concept of Z score biofeedback (also known as Z-Score Neurofeedback) in order to identify brain regions that are de-regulated and depart from expected values in real-time. 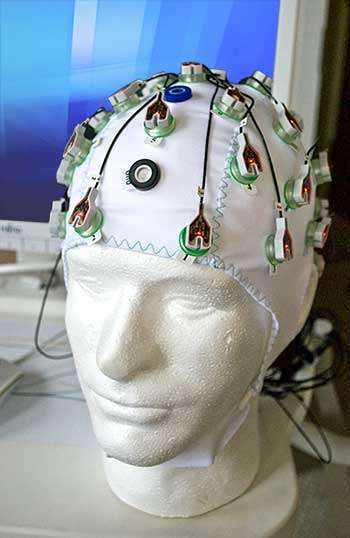 Treatment with EEG neurofeedback is based on the theory that once individuals understand their brain activity and learn to manipulate their own brain waves, they will be able to continue to do so, long after the therapy has ended. Some studies have followed patients for as long as 10 years after being treated with EEG neurofeedback and have shown no significant loss of treatment gains. We apply electrodes to the scalp to listen in on brainwave activity. We process the signal by computer, and we extract information about certain key brainwave frequencies.We show the ebb and flow of this activity back to the person, who attempts to change the activity level. Some frequencies we wish to promote. Others we wish to diminish. We present this information to the person in the form of a video game. The person is effectively playing the video game with his or her brain. Eventually the brainwave activity is “shaped” toward more desirable, more regulated performance. The frequencies we target, and the specific locations on the scalp where we listen in on the brain, are specific to the conditions we are trying to address, and specific to the individual. Unlike our normal one or two electrode neurofeedback training protocols, where we mainly concentrate on lowering the power in one specific region of the brain, 19 channel neurofeedback (also know as Z-score neurofeedback or “full cap” neurofeedback) can train up to 5700 variables at one time. 19 channel neurofeedback trains your brain using z-scores. This can be thought of as “real time” training where your brain is getting trained to be within normal limits as defined by a normative database in real time. 19 channel neurofeedback can train EEG coherence, phase delay, amplitude and power asymmetry, phase reset, phase lock and phase shift duration. Learn more by watching this video, or click here to read more.